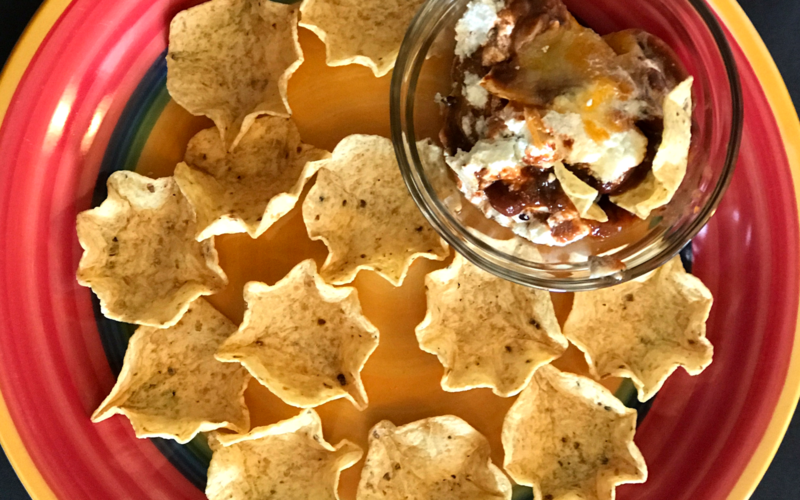 In the last of our tailgating series, we are highlighting a favorite dish often found at parties or your favorite football game. However, we are giving it a twist for all you non-meat eating lovers out there. Why should you give up all your yummy treats just because you want to leave off meat? This is an old standby but the only difference is to substitute a meat based chili for a vegetarian chili. There is a challenge when switching to the meatless chili with it not being as thick. You don’t want that layer to run into either of the other layers. Although it wouldn’t affect taste, you want that first dip to look great. 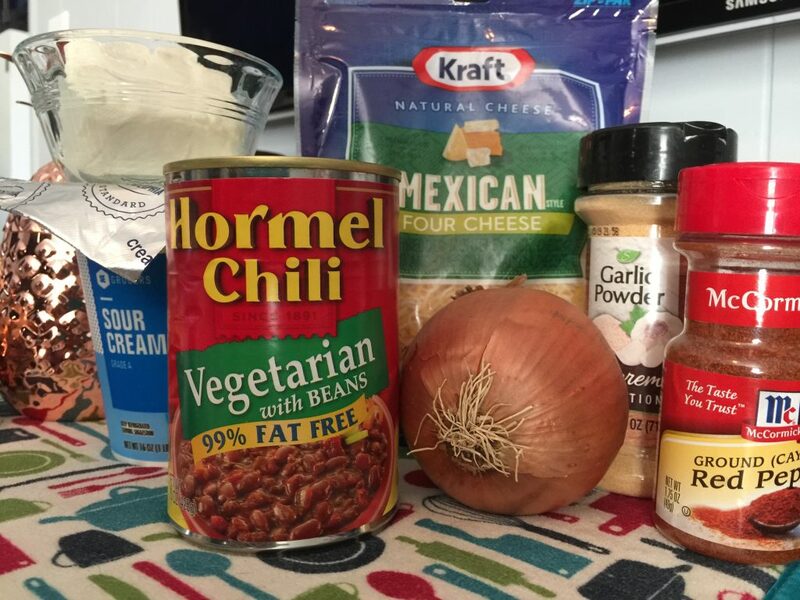 Since there are many varieties of meatless chili out there, you may use the one your vegetarian at home prefers. 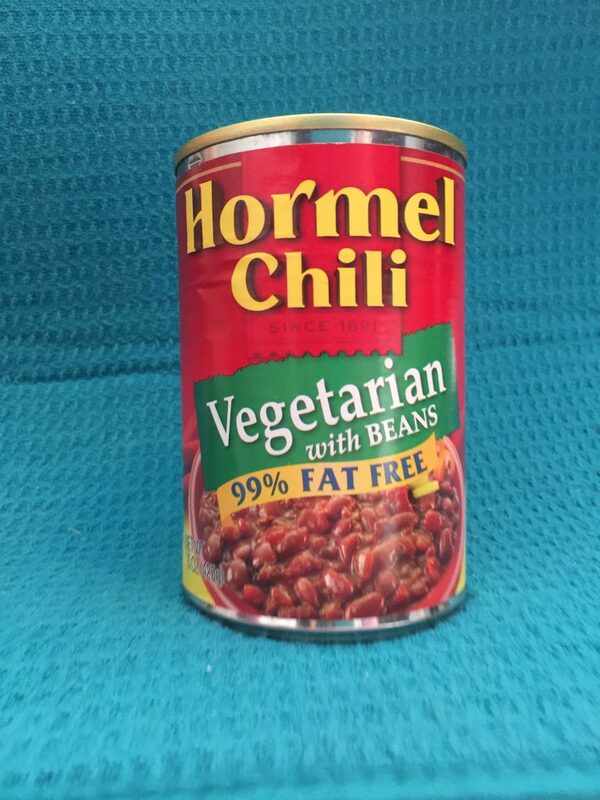 For this recipe, I’ll be using Hormel Vegetarian Chili with Beans. The first and third layer will be the veggie chili. It will be the base for the dish. As I mentioned, this layer needs to be thick to support the other two layers sufficiently. One way to thicken up this mixture is by adding more beans. You may run them through a processor for a better consistency. 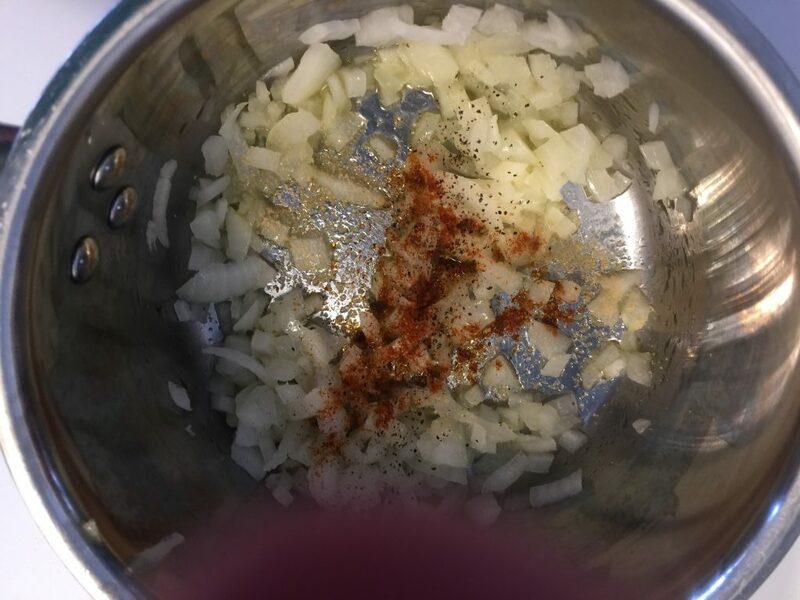 Depending on what seasonings are already in the canned mixture, you can add others in this layer. You can never have too much flavor. I have chosen a great organic black bean that does nicely in vegetarian dishes. Depending on your taste preferences, you can add in whatever extras you like, in this step. 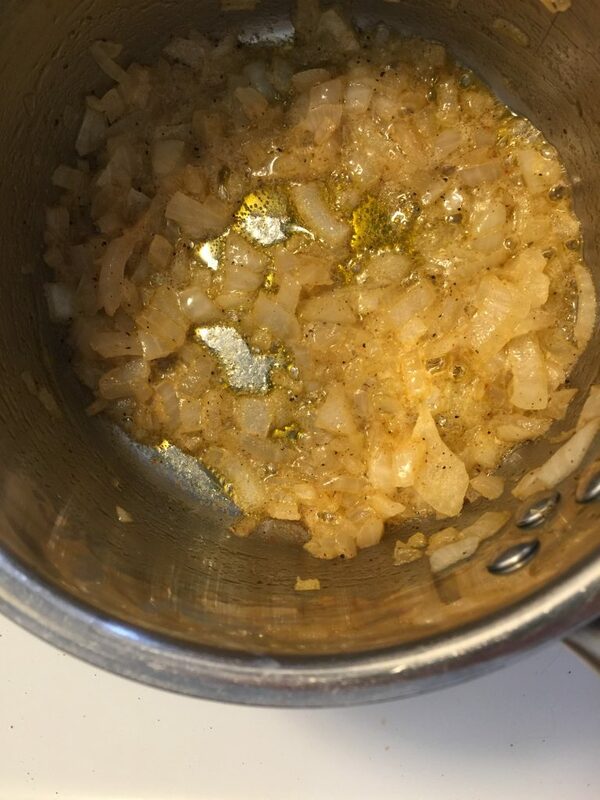 I have sauteed some minced onions in a little olive oil with some garlic powder, paprika, salt and pepper thrown in for extra kick. Once the onions are transparent, remove from heat and put aside to cool. 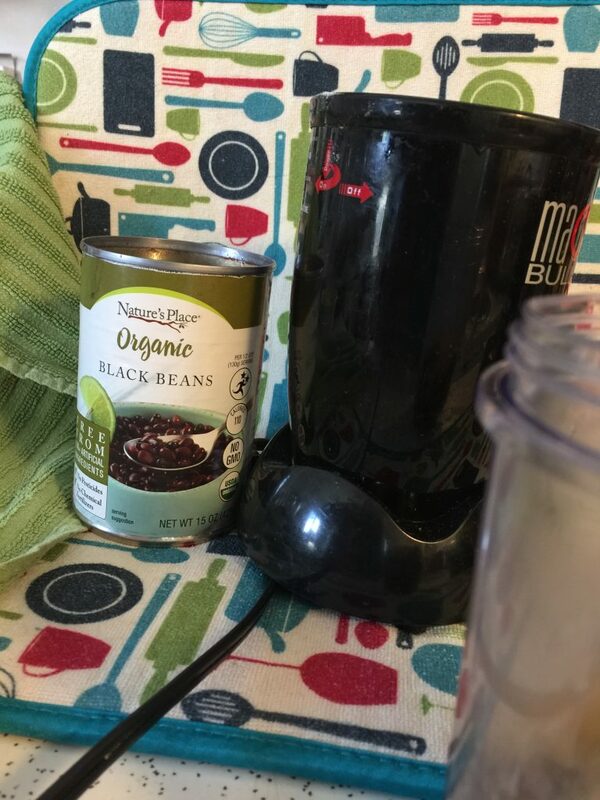 I am going to mix the black bean mixture lightly in a processor. Don’t over mix. The added texture will thicken the chili. Next, add the onion mixture to the black bean mixture. Once these are combined, add to the chili til well mixed. Spray your small casserole dish with non-stick spray then place half of the chili mixture in your dish. The next layer marries my two favorite recipe items, sour cream and cream cheese. 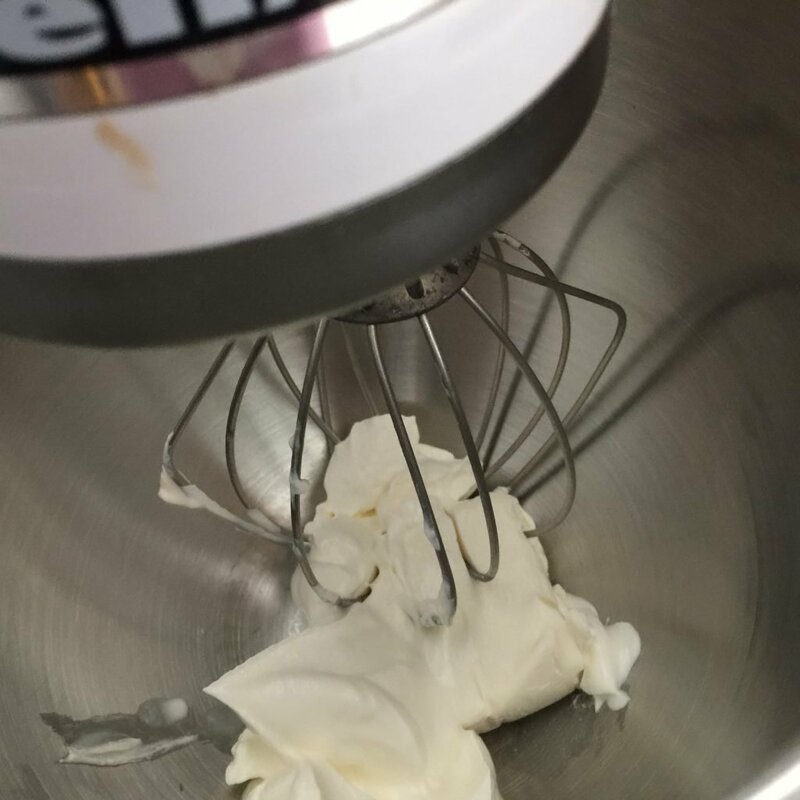 You should have softened your cream cheese at room temperature so this will be easy to blend. Don’t over mix or it will be runny. Again, you want these layers firmer rather than softer. 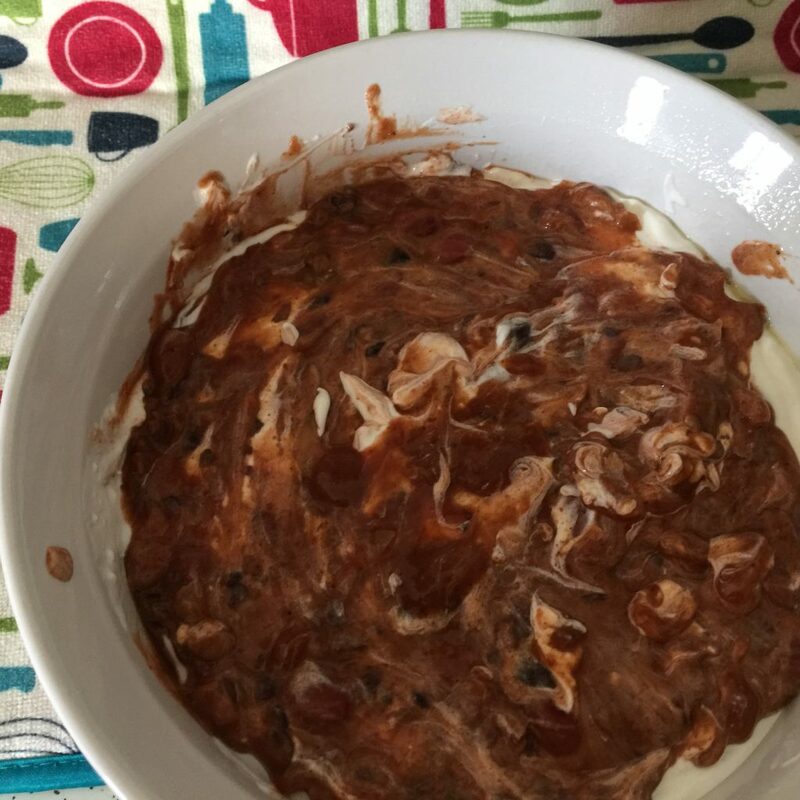 Gently spoon and spread the cream cheese mixture over your chili mixture. If you dip your spoon in a cup of hot water between spreads, it will smooth easier and there will be less mess. 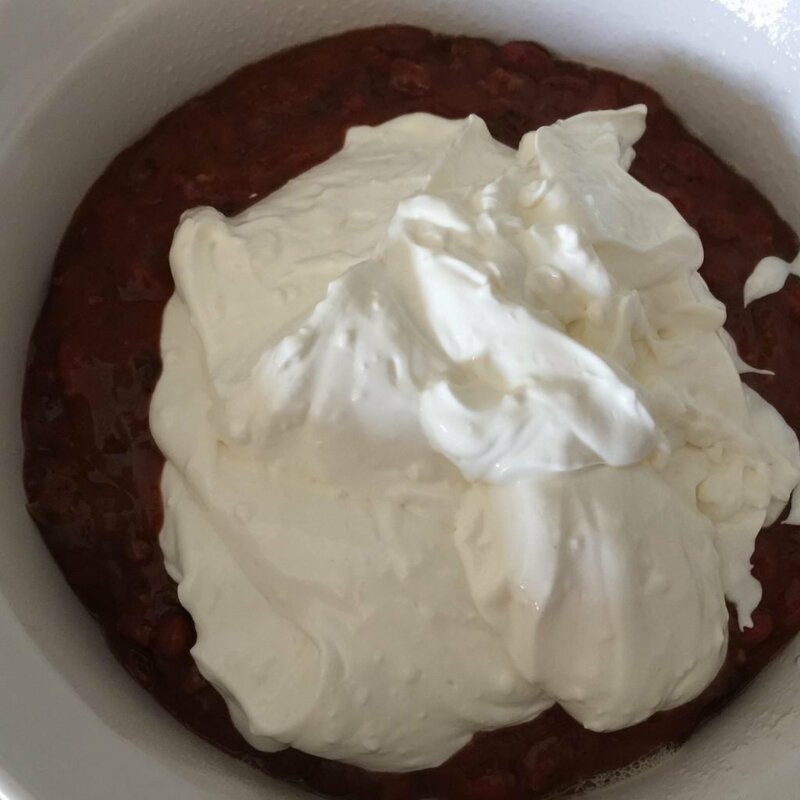 After you have gotten the cream cheese mixture spread, add the rest of the chili. It doesn’t have to look perfect. The last layer will cover it up. 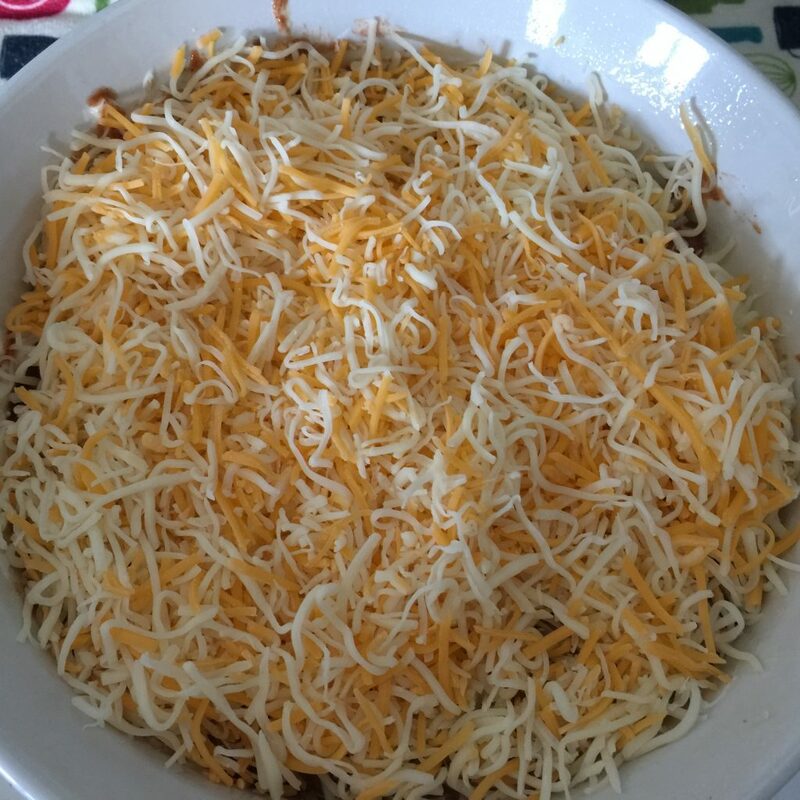 Now all that is left is to sprinkle with your favorite shredded cheese. 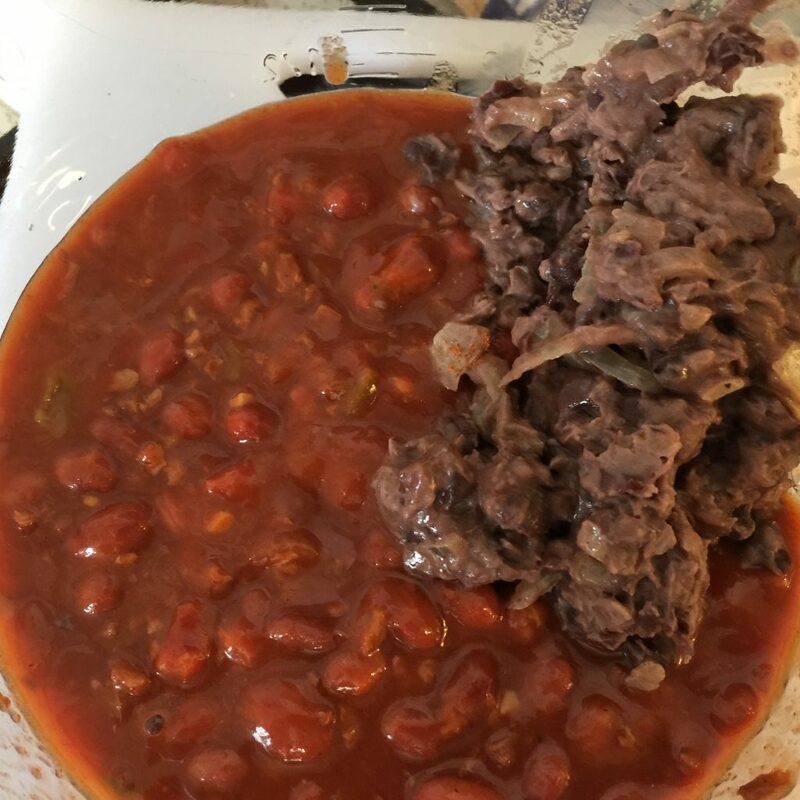 For this recipe, we are using a shredded Mexican blend. This is the perfect topping for our savory dish. Pop it into the oven til cheese is melted and bubbly. Add tortilla chips and you will have no complaints about “no meat” in this addition to your party table.